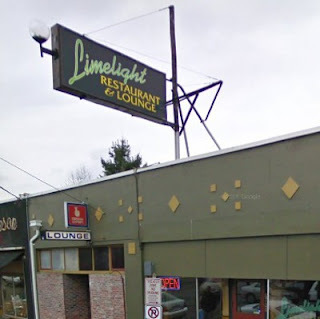 Last month I got a call from Chris Haberman saying that he needed some art to fill the walls at the Limelight -a funky-yet-fabulous bar in Sellwood. It was actually where he had his very first show, some 10+ years ago. Not ashamed to follow in his footsteps, I couldn't say no, so I dusted off my old Diva paintings and put them back in the 'limelight' -right where they belong. I recommend visiting these gals up close in person as they are adorned with 3-dimensional elements that are hard to appreciate in a photo.The show is only up for another week, so git yerself down there and raise a glass to Patsy, Peggy, Billie, Bessie, Ma, Debbie and Patti. Be sure and check out the front door -painted by Chris on your way in! Wish I could visit in person! it's a long way from Melbourne Australia. Can we have some photos of the other paintings? I love them! Luv from Australia is the best!